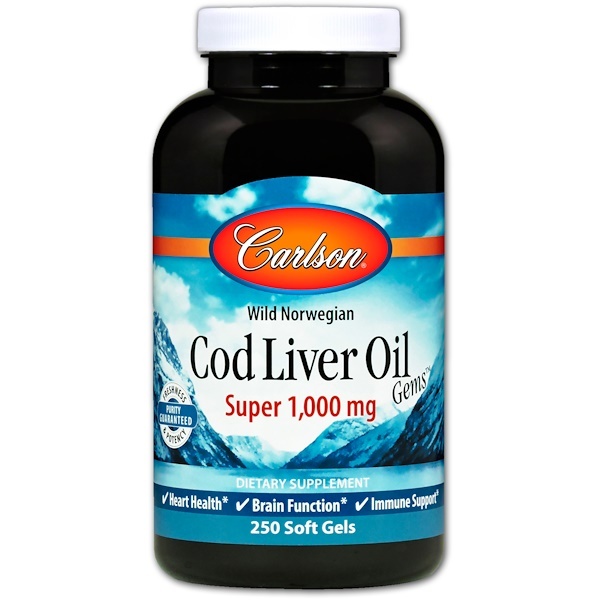 Cod Liver Oil Gems Super 1,000 contains 1,000 mg of cod liver oil, which provides 250 mg of omega-3s plus vitamins A and D3. 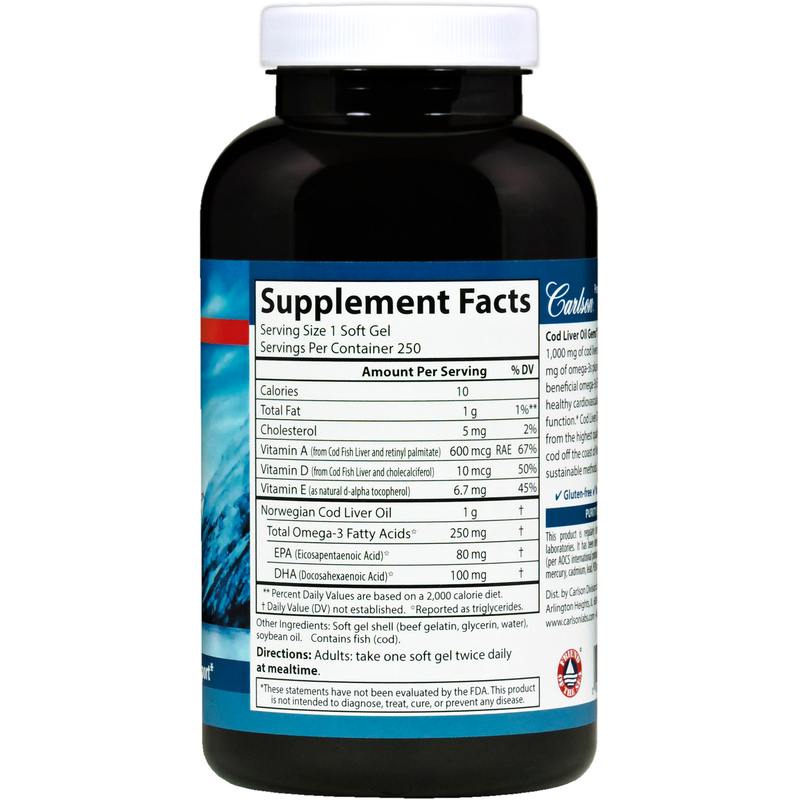 The beneficial omega-3s EPA and DHA support healthy cardiovascular, cognitive, and immune function. Cod Liver Oil Gems are sourced from the highest quality wild-caught Arctic cod off the coast of Norway using traditional, sustainable methods. 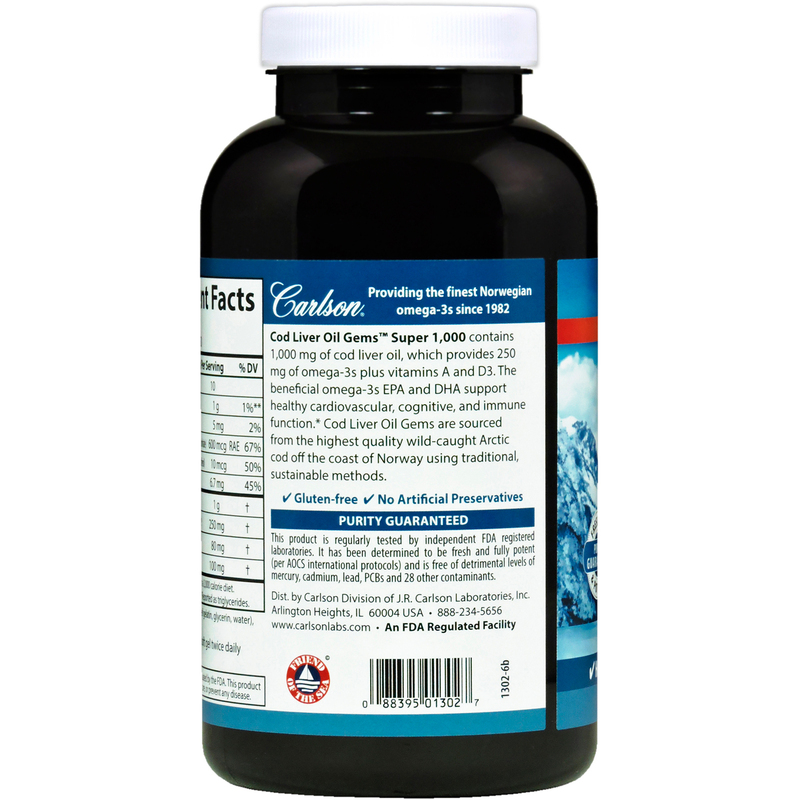 This product is regularly tested by independent FDA-registered laboratories. It has been determined to be fresh and fully-potent (per AOCS international protocols) and is free of detrimental levels of mercury, cadmium, lead, PCBs and 28 other contaminants. Soft gel shell (beef gelatin, glycerin, water), soybean oil. Contains fish (cod).